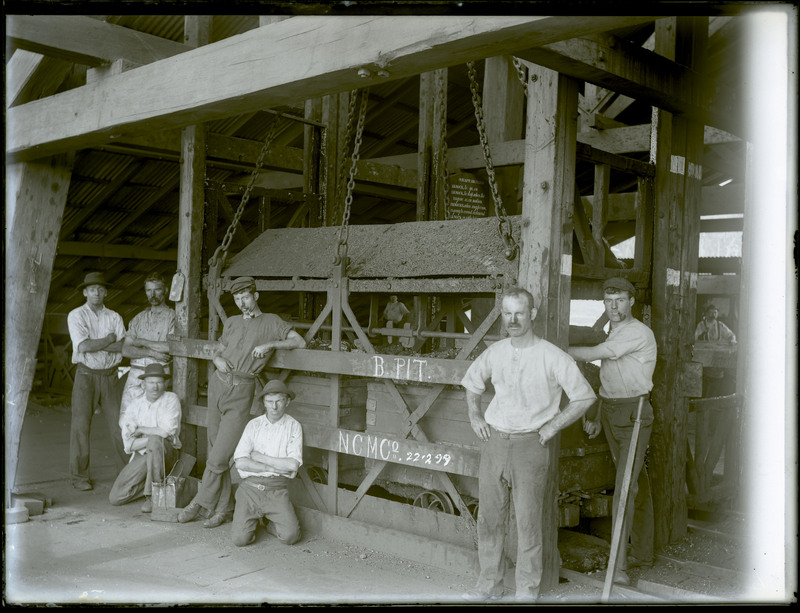 A hundred men were working in the Hamilton Pit at the Glebe Mine, Merewether, on the morning of 22nd June 1889 when the roof began 'working' and collapsed in several places. Many of men fled for their lives but their lamps went out and they were plunged into darkness, rocks and coal continued to fall and blocked their escape. Eleven men lost their lives in the disaster, some were caught under fallen coal unable to be moved by work mates and four died of starvation while trapped in a small section of the mine. The sounds of the roof 'working' and 'creeping' had been heard in the Pit tunnels since 6 o'clock that morning, and one of the miners later reported that he heard 'a succession of cracks like the rattle of thunder'. At the first head count eighteen were missing, but another seven made it to safety over the first few hours, some of these were the last to see the final eleven men alive. Edward Sullivan, who was pinned by the leg by fallen rock, was able to be freed and crawled to safety, but Jabez Roberts, a man in his seventies was too weak to move. Sullivan had been freed by Willam Young who found matches and lamps, together they tried to move Jabez but the rocks were too heavy so they moved on, leaving him with a bottle of tea. As they made their way out they heard cries and found John Peate Snr., he was partially buried under rocks and coal with only his head and shoulders visible, they could not free him either. They lit matches one by one until they had none left, the roof continued to fall but they managed to find a way out. The first body to be recovered on the 2nd July was Herbert Pettit, aged twenty-two, who had been crushed and died of injuries. On the 4th July "Sharpo" the pit pony was discovered still alive in a small space, he had managed to survive because water had dripped through the roof onto his foreleg. He died shortly after he was rescued. John Peate Jnr., a young man of nineteen who had been working with his father, was recovered on 3rd August, he was found in a seated position between two skips which 'had been forced together by the weight of fallen coal and rock'. His cousin identified him by his boots. The rescue was called off on the 4th July because the mine was considered too dangerous. On the 16th July a Government rescue party was formed but water and rock falls continued to make it dangerous work for all involved. On the 25th August Jabez Robert's body was found completely buried under debris, and the bodies of Beaumont, Grant, Meadows and Hodson were found on the 3rd September. Hodson had been injured and blocked off from the others but he had tunnelled a distance of 44 yards through debris before he died. The rest of the group had died of starvation and a track had been worn in the ground where they had paced the floor. The body of David Proctor was the last to be recovered on the 8th September. Hope of finding him had almost been given up as it had been over two and a half months since the accident. He was found in a small space between two falls and it appeared that he had tried to clear the rock but was injured, and being without a lamp or food he had finally succumbed to exhaustion. The men who died in the disaster were: miners, Jabez Roberts, David Proctor John Peate Snr., John Peate Jnr., Herbert Pettit, and Daniel Masson. ; shiftmen, John Meadows, George Beaumont, and Alexander Grant; wheeler, Thomas Banfield; and Deputy Overman, James Hodson. Their names appear on the Jim Comerford Miners Memorial Wall at Aberdare. "The Colliery Disaster. The Death of Herbert Pettit." The Sydney Morning Herald (NSW: 1842-1954) 11 Jul. 1889:8. Web. 25 Mar. 2013. Click photo to see full-sized image. 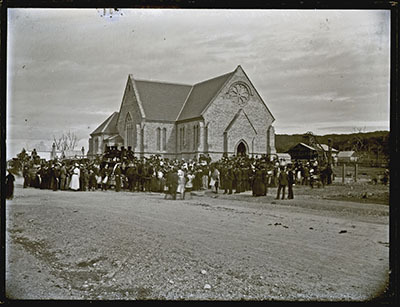 The funeral of Herbert Pettit at St Augustine's Merewether, one of the eleven mine workers killed in the Hamilton Pit Disaster at the Glebe Colliery on 22nd June 1889. Herbert Pettit was twenty-two years old and was caught under a fall of coal; work mates were unable to free him and had to leave him in the tunnel. His was the first body to be recovered from the Pit on the 2nd July 1889, he was found with his tucker-tin over his arm. The Adelaide Advertiser (3 Jul. 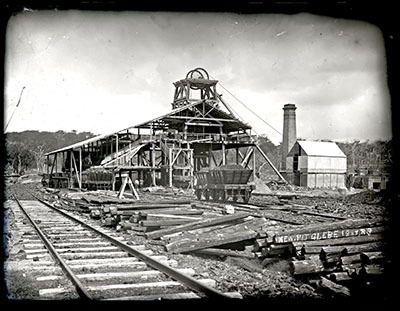 1889) reported that "It is expected that the various collieries in the district will be laid idle for half a day to-morrow to allow the miners to attend Pettit's funeral." The rescue effort was called off after this until the 16th July as the mine was considered too dangerous. 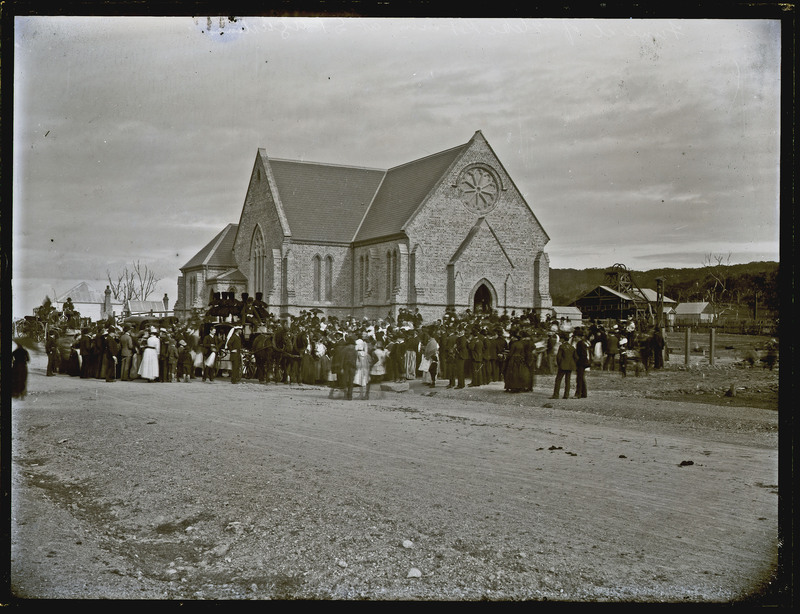 Herbert Pettit is buried in the Anglican Section of Sandgate Cemetery.